Renaissance Art Cafe was established in 2007. We are a full-service art, graphics, and consultation company. Our most recent addition is Let's Paint & Party Art Experience which is our paint & sip service. 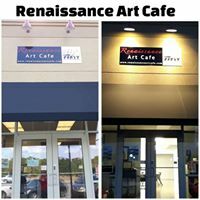 Renaissance Art Cafe is excited about the new studio/gallery in Downtown Albany!